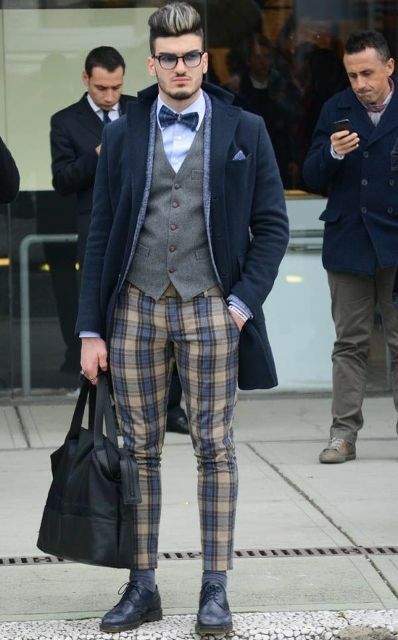 We’re already told you about plaid trousers for women, so now I want you to pay an attention to men outfits with such pants. 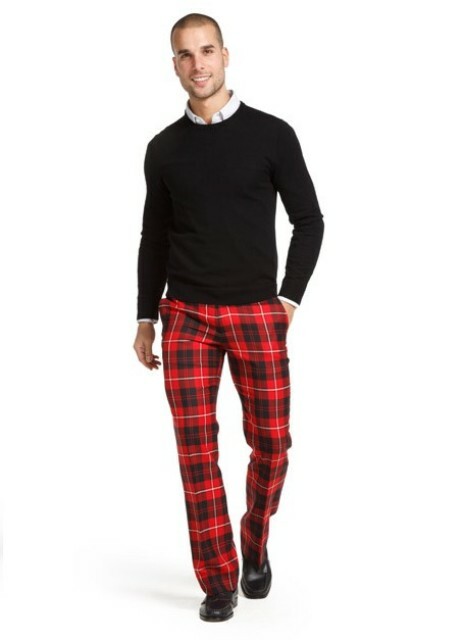 In my opinion, every man, who loves fashion and follows trends, should have a pair of plaid pants, and it doesn’t matter what type these pants will be or what color palette they will have. 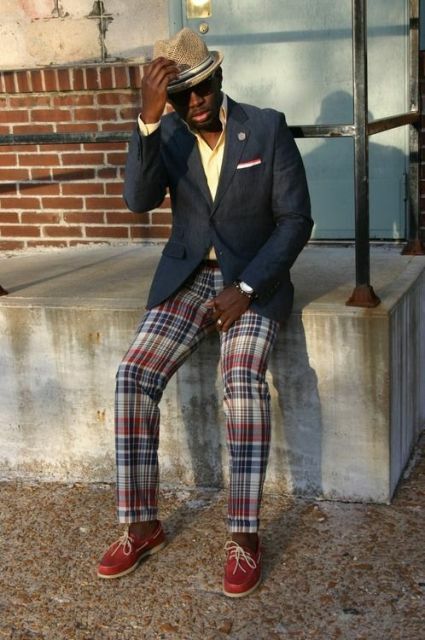 You can choose straight, skinny or wide-leg plaid pants, cuffed, crop or jogger ones and combine them with other monophonic or printed pieces of clothes, accessories and shoes. For more interesting and stylish ideas you can scroll down. Enjoy! To make more official outfits you can repeat some classic ideas. 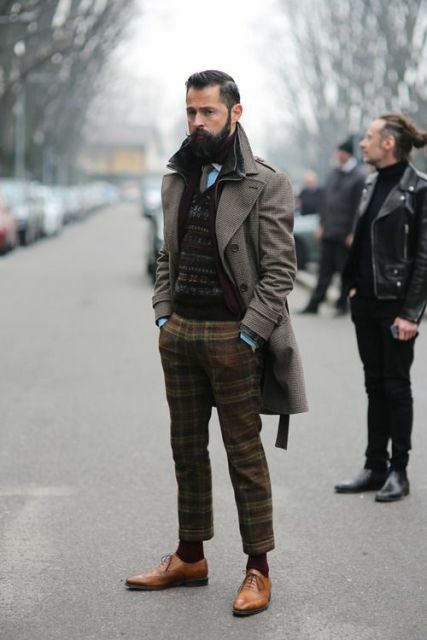 For example, take a white button down shirt and combine it with a striped tie, a gray vest, a gray blazer, gray and black plaid trousers and black shoes. 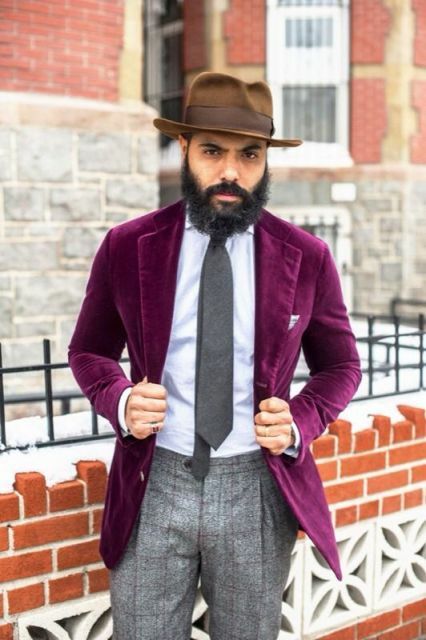 Of course, you can mix classic and casual styles together, for example, add a purple suede blazer and a brown felt hat to a white button down shirt, a simple gray tie and tweed plaid trousers. If you love fashionable outfit ideas, then you can combine a black shirt with an emerald blazer, blue and green crop or cuffed plaid pants, a leather belt, gray ankle boots, round shape sunglasses and a black leather clutch. 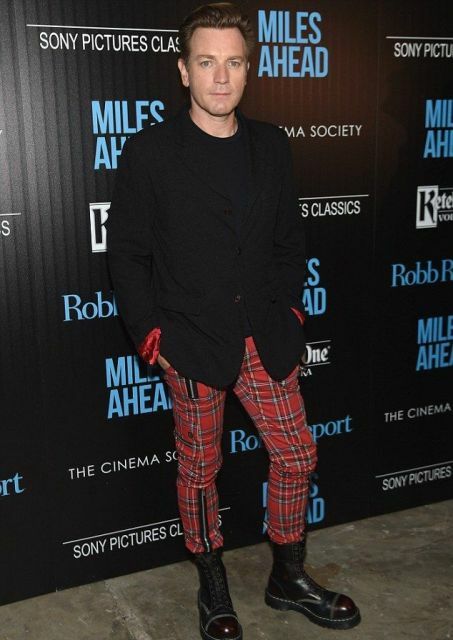 Below you can find an one more classic combination with black and red pants, a white button down shirt, a black sweater over it and black boots. For colder days you can pair a gray sweatshirt with a navy blue puffer jacket, green and blue straight trousers, lace up boots, gloves and a black leather backpack. 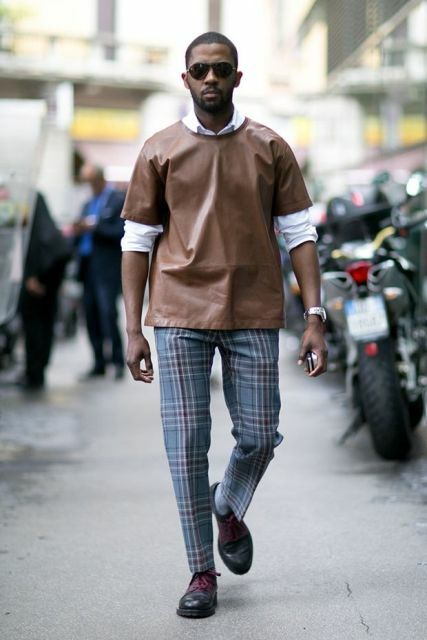 Or you can mix a shirt with a printed sweater or vest, a gray double-breasted knee-length coat, gray and brown cuffed pants and brown leather oxford shoes.